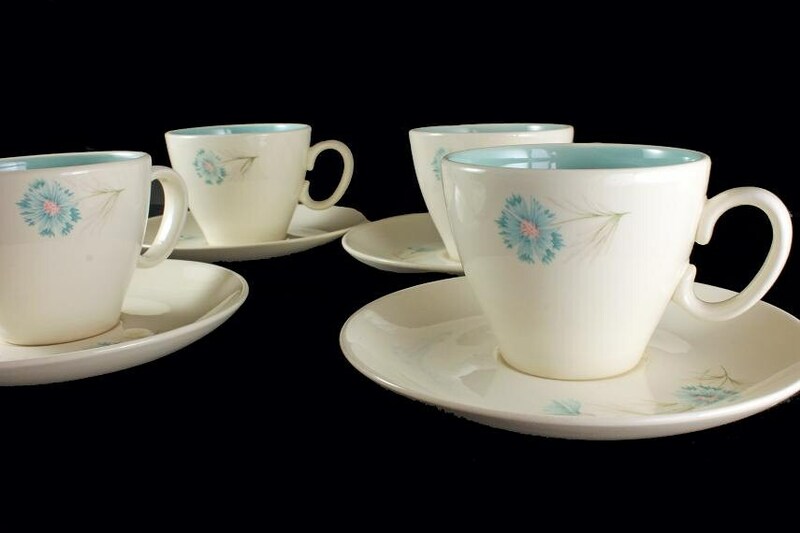 This is a gorgeous set of cups and saucers made by Taylor, Smith, and Taylor in the Ever Yours Boutonniere pattern. The pattern consists of a blue flower with a pink center. 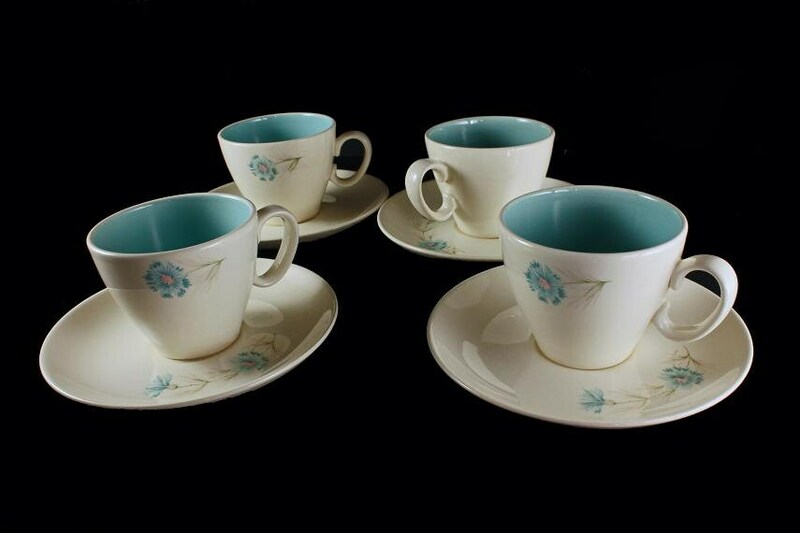 The outside of the cups is a creamy white and the interior is a charming robin's egg blue. 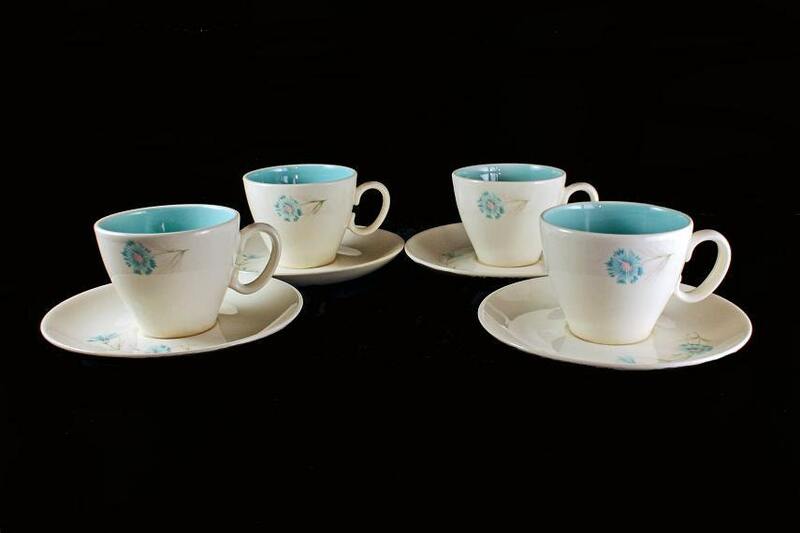 These would look lovely on any tea or dining table. They are also very nice replacement pieces. Taylor, Smith & Taylor Company was in operation from 1900 until 1981 in Chester, West Virginia. The original owners were: Colonel John N. Talyor, C.A. Smith, Joseph G. Lee, Albert G. Mason, and William L. Smith. 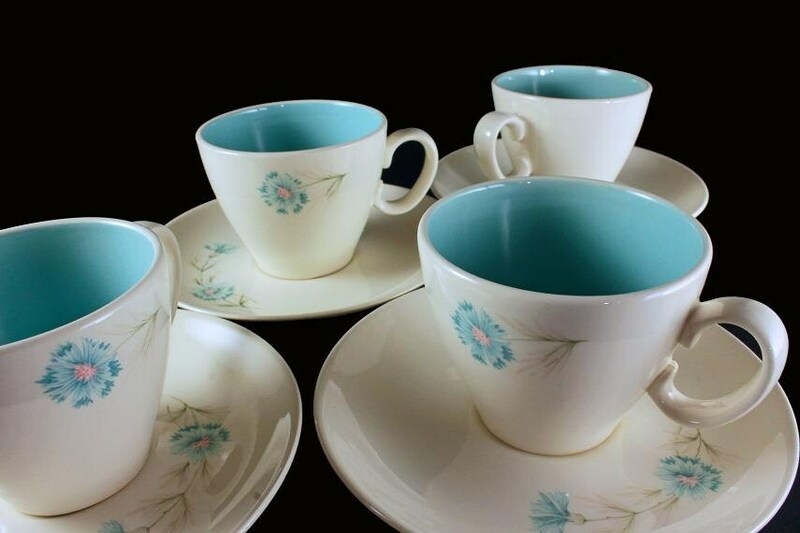 This pattern of china was discontinued in 1962. 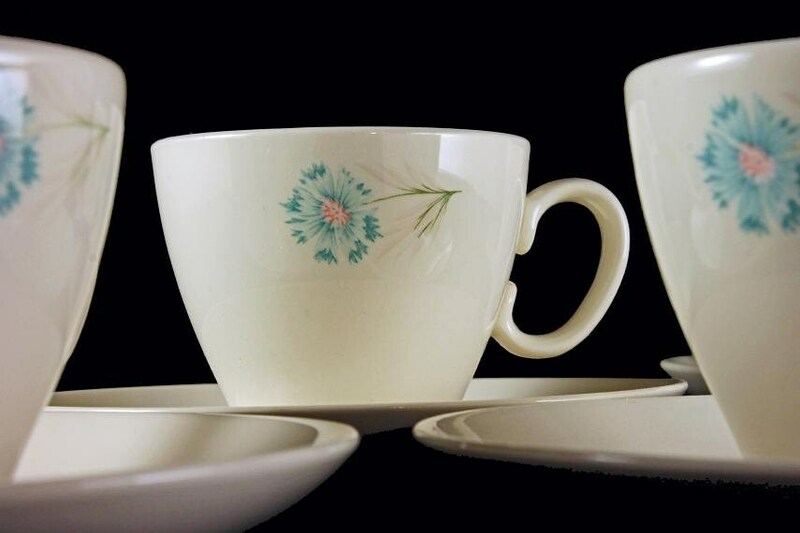 These are vintage cups and saucers. They are in fantastic condition. There are no chips, cracks, mars, or crazing.